Located in the square, Poljana Ruđera Boškovića, is the Church of St Ignatius. Bishop Beccadelli asked the newly founded Jesuit society in Dubrovnik to establish a college in 1555. It was not until 1647 that the possibility to start planning came into being with the legacy of the Jesuit Marin Gundulic. The Jesuit rector Gianbattista Canali prepared plans in 1653 in order to build the church and college. The Jesuit architect and painter Ignazio Pozzo was hired for the purpose of working on the church project and work started in 1699 and completed in 1703. The church of St.Ignatius was completed in 1725 and opened for worship in 1729. 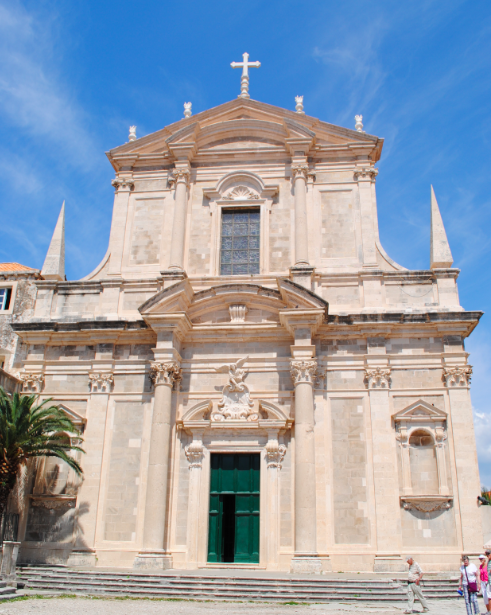 Its monumental Baroque front is akin to the features of Dubrovnik cathedral.